I Dig You! Dump Truck and Backhoe Kids Valentines, Construction Valentines, Valentine's Day, Boy Valentines, Printable Instant Download. What little boy doesn't love Dump Trucks and Backhoes? 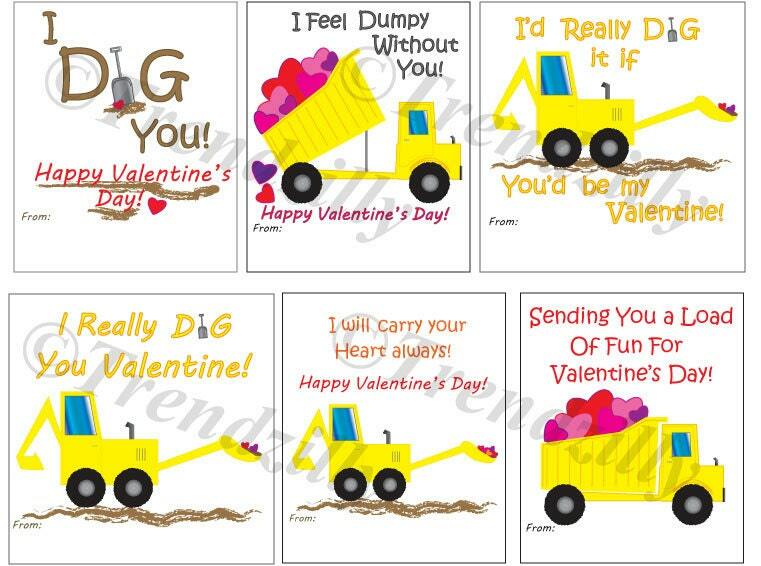 This is a printable download of 6 different Dump Truck and Backhoe Valentines. Your kids will have fun putting these together, they can be used as is or you can personalized them with construction paper, card stock, glitter or anything you wish.